Finnish snowboarder Roope Tonteri successfully defended his big air world title, while Switzerland's Elena Koenz won the inaugural women's competition on Saturday. Darcy Sharpe of Comox, B.C captured silver in the men's event. Finnish snowboarder Roope Tonteri successfully defended his big air world title, while Switzerland's Elena Koenz won the inaugural women's competition on Saturday. Tonteri, who won silver in slopestyle three days ago, scored 79.75 points with his final jump to finish on 173.75 and overtake Darcy Sharpe. The Canadian earned silver with 169.50, while Kyle Mack of the United States took bronze with 163.50. It was Mack's second bronze after placing third in slopestyle. Sharpe just missed the podium in the slopestyle event, finishing fourth. 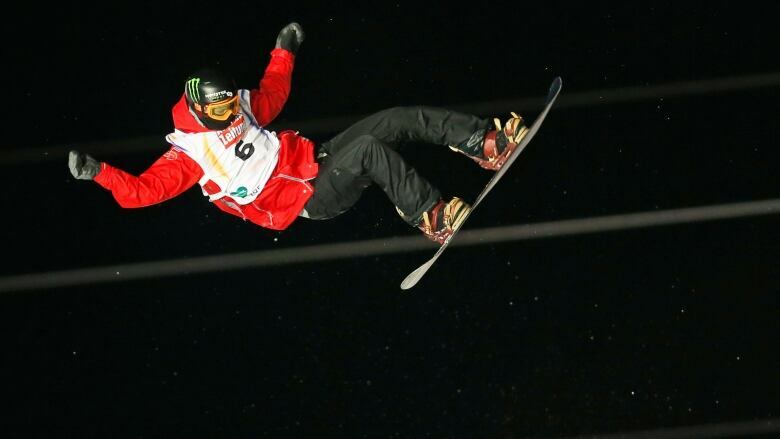 His older sister Cassie,22, won a silver in the freestyle ski slopestyle on Thursday. Koenz became the first women's big air world champion with 157.75 points. Merika Enne of Finland scored 148.75 for silver, while Koenz' Swiss teammate Sina Candrian won bronze with 143.25. Big air, the final event of the snowboard worlds, is not an Olympic discipline but has been part of the men's program at the worlds since 2003.